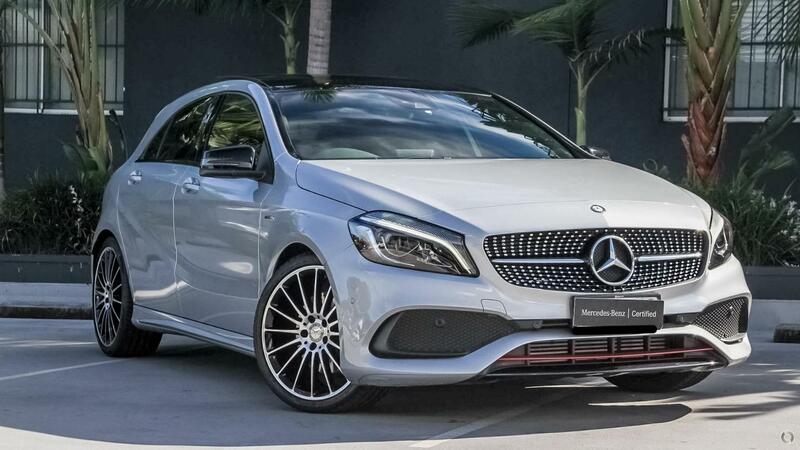 Tuned by AMG, this incredible Certified Mercedes-Benz A250, finished in Polar Silver with Black RED CUT Leather Sports Seats, will leave the driver wanting more after each drive. From its AMG tuned performance engine, sports suspension, distinct AMG styling and 4MATIC all-wheel drive, this car is not for the faint hearted! With an outstanding list of features including Keyless-GO, navigation, a huge glass panoramic sunroof, dual-zone climate control, Harman Kardon surround sound with DAB digital radio, 19" AMG Alloys and an array of active drivers assist features, this is a vehicle you'll look forward to driving! Combine this with everyday comfort features like auto LED headlamps, front and rear parking sensors with a rear view camera and auto parking, this car has the smarts to back up its looks. To ensure you are covered by a comprehensive after sales experience we offer a factory backed 2 Year Mercedes-Benz Certified Warranty and 2 Years Roadside Assistance, in addition to the balance of your new vehicle warranty.